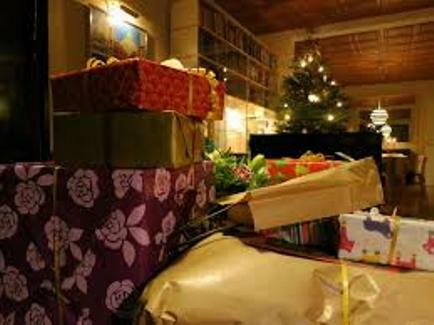 Christmas is a time for cheer, for giving and for spending with family but buying the best gift for everyone can quickly pile on the pressure and leave many of us unsure about what to get our loved ones. However, shopping for Christmas presents doesn’t have to be so stressful and there are a few things that you can do to make the process easier and even enjoyable. Imagine actually having fun while you shop for everyone’s Christmas gifts this year! So, how can you make sure you buy everyone something they will really appreciate and what can you do to ensure you don’t stress yourself out too much when tackling the busy shops? Here are a few handy tips on how to make Christmas present shopping simple and fun. One of the most stressful things about Christmas shopping is tackling the busy stores. Who wants to stand in an endless queue for ages, get shoved and trodden on as you reach for things on shelves that are emptying in front of your eyes and spend hours just searching for a space to park in? One thing that many of us are guilty of over the festive period is spending too much money. There is an easy way to ensure you don’t over spend and that is to write a list of all of the people you need to buy a gift for and jot down the amount you want to spend on each person. Then when you go shopping, you will need to refer back to the list to find a gift within your budget. You can also find sites that will break their gifts into categories such as “technology” or you can search for a gift by its price. Brainstorm some ideas about what each person likes to do such as hobbies and their interests. Do they like watching sports? Who is their favorite team? Do they take pride in their home? Answering some of these basic questions about your loved ones will help you to find them each a great gift.